Mesh catalog holder. 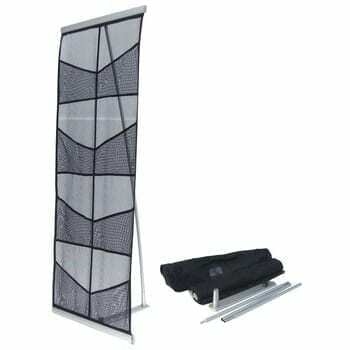 Mesh catalog holder is a black mesh material and is easy to roll up for compact transport. 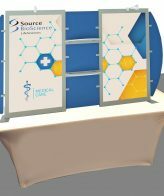 The stylish roll up literature holder lets printed materials speak for itself. The transparent mesh pockets securely hold literature in place while the aluminum support brace keeps the unit steady and secure on its feet. Black aluminum holders ﬁt 8.5″W x 11″H sheets or catalogs. 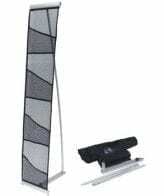 Great for showrooms and tradeshows. Includes carrying bag. Item sold blank. Production Time ▪ Blanks 1-2 Working Days if ordered by 12PM EST.